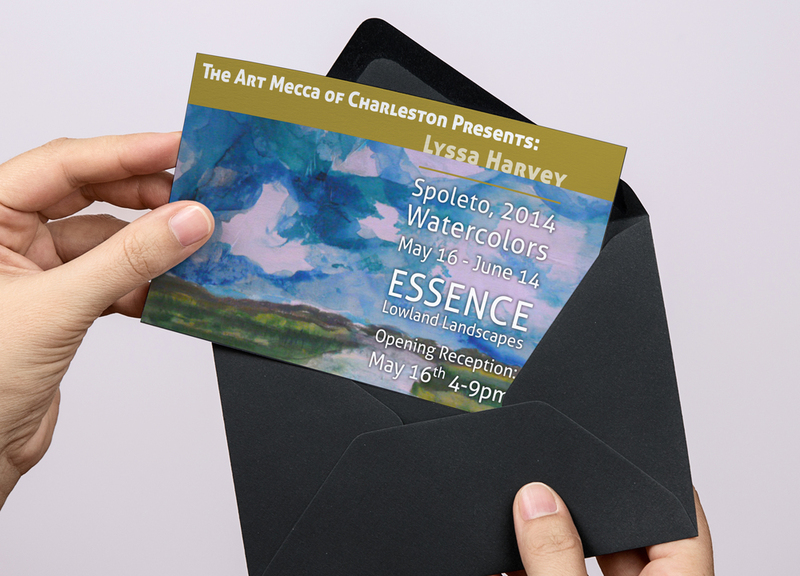 Lyssa Harvey, local artist and Art Therapist, asked us to design invitations for her upcoming shows. Using her artwork at the centerpiece of the invitation design was our main goal. 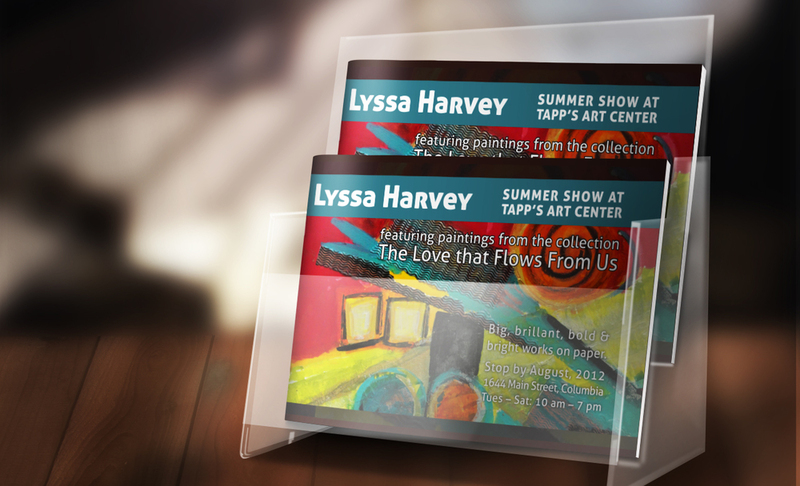 We also wanted each invitation to have a consistent design so that viewers would instantly recognize one of Lyssa's invitations. For each show, we create a print and digital version of the invitation. She posts the digital version on social media and to her website. Her website helps promote her shows with previews of each artwork collection. She links the online collections and digital invites to her social media pages for even more client reach.